Far from a one-size-fits-all kind of company, Milgard® designs windows and doors specifically for our Texas customers’ requirements. We consider climate, architecture, and style, and because we design and assemble our Hermosa Series™ in Texas, we believe you’ll experience better service, faster delivery time, and a quicker response to window and door warranty issues. Ranked the Best in the West in five different categories by the 2015 BUILDER Magazine Brand Survey for the Western U.S. Sliding patio doors work best in tight-fitted spaces that can’t handle the in-swing or out-swing French door style. They slide along horizontal tracks and can be designed for either right-hand or left-hand operation. The Tuscany Series vinyl patio doors key benefits include energy efficiency, our SmartTouch® Bolt, and our full lifetime warranty with glass breakage coverage. The Hermosa Series™ is a new line of innovative vinyl windows and doors designed specifically for and assembled in the Lone Star State. Your can confidently turn to Milgard® for your replacement windows and doors for your Texas home, because we provide a local, personalized experience for our customers. 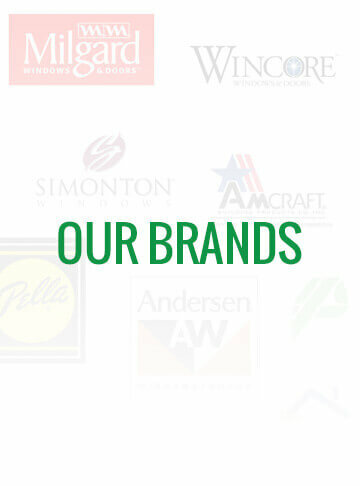 What Do You Get For Your Money when You Choose Milgard® Replacement Windows and Doors? We take pride in the fact that we produce our vinyl in our own controlled environment with no fillers. We extrude the components and develop compounds with high quality titanium dioxide and stabilizers to ensure high performance and heat stability. Double-hung windows are just one consideration to match or compliment your new Milgard Sliding Glass Doors. The window slides up and down for ventilation and can be operated from the top or bottom sash. They’re also ideal for rooms facing walkways, porches and patios. Pour yourself a cup of coffee and settle in as you explore the many options we offer. This entry was posted in Houston Doors. Bookmark the permalink.